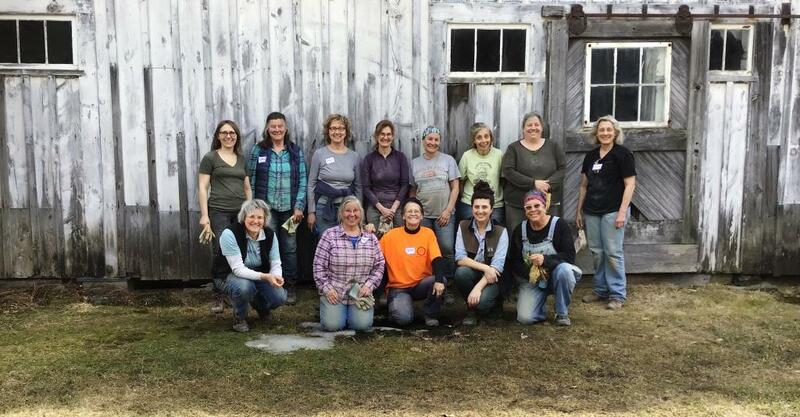 There were women from as far away as Texas who attended the Women’s Introductory Walling workshop this past Saturday! They were so enthusiastic! As a matter of fact, several expressed an interest in taking another workshop to advance their skills, especially stone shaping and building retaining walls. Some felt inspired to pursue becoming certified. There was a camaraderie that is only experienced in the women’s workshop. The instructors for the workshop were Kim Coggin and Judy Rand, both DSWA-GB certified Level II/Intermediate wallers!